The U.S. Mint made proof sets from 1936 through today. Over time the average coin values based upon current market conditions have fluctuated very little. When buying or selling your United States, proof sets make sure all original U.S. Mint packaging, boxes and all original documents and Certificates of Authenticity (COA) are included. The sets should be free from damage, and the coins must have never been circulated. What Is a United States Proof Set? The United States Mint began producing proof coins in the early 1800s. These were special coins manufactured with extra care that imparted a special finish on the surface of the coin and then sold them to coin collectors at The U.S. Mint offices in Philadelphia. Not every coin produced for circulation has a Proof counterpart. As time evolved, coin collectors requested one proof coin of every type of coin minted. In 1936 The U.S. Mint started assembling sets of every coin minted and selling them directly to collectors. Additionally, you could order these coins through the mail. As time progressed, the mint also started making commemorative coins. The Mint produced these coins in business strike and proof finishes. 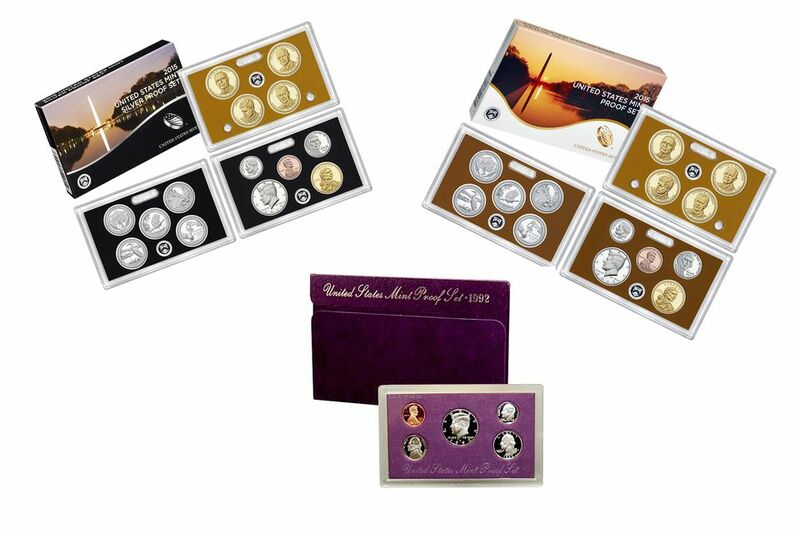 A variety of sets that combined different denominations of commemorative coins or different finishes were made available to collectors. Currently, you can order your proof coins directly from The United States Mint website. The following proof sets, in any condition, are worth considerable more than common proof sets. As such, these coins are frequently counterfeit or altered from common coins. Therefore, before you start celebrating your early retirement with your new found fortune, have the coins authenticated by a reputable coin dealer or third party grading service. The buy price is what you can expect to pay to a dealer when you purchase the coin. The sell value is what you can anticipate a dealer will pay to you if you sell the coin. These are approximate retail prices and wholesale values. The actual offer you receive from a particular coin dealer will vary depending on the condition of the set and some other factors that determine its worth. 1965 - 1968 # No Proof sets were produced in these years. ^ = Number of "Sets Sold" are included with the number above. - = These sets are still being sold by the U.S. Mint and final sales data is not available yet. # = Proof Mint Sets were not produced in 1965, 1966 and 1967. However, the U.S. Mint did produce Special Mint Sets for coin collectors.